As many of you know we have an apple tree and thus are left with many bushels of fruit to preserve every year. So out of necessity I’ve come up with several different easy recipes that use apples and I thought I’d compile them together for you just in case you have a load of apples to preserve or use up yourself. It’s hard to choose, but I think my favorite is the Freezer Apple Pie Filling because it’s easy to put together with no cooking involved and then you have homemade pie filling all year-long! 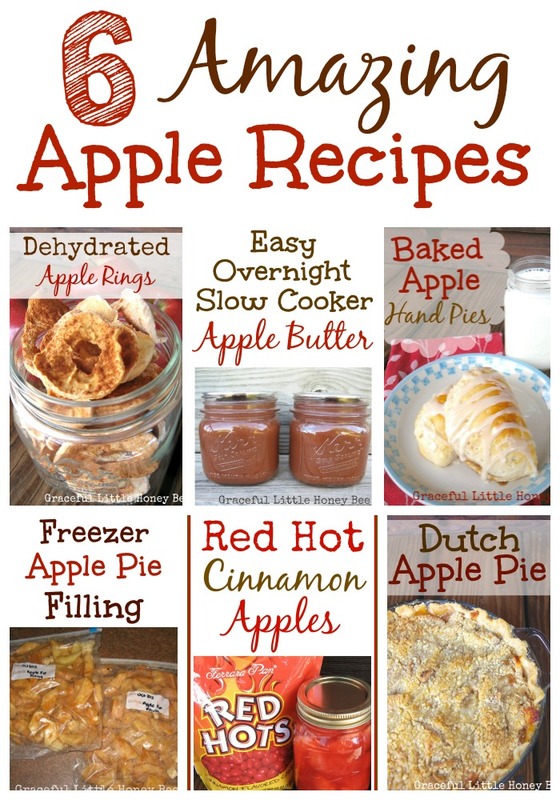 Do you have a favorite apple recipe to share?